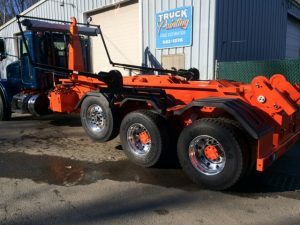 Carey Truck Equipment, truck and trailer repair service servicing the South Shore, Boston, Cape Cod, & surrounding areas in Massachusetts. We specialize in heavy duty truck and trailer repairs and offers 24-hour emergency roadside assistance, flat tire repairs and much more! Has your truck started making odd noises every time you drive it on the highway? Is it midnight and you’re stuck on the side of the road with a broken-down truck? Or are you looking for dependable parts in order to do some repair or maintenance work on your truck yourself? Carey Truck Equipment is here to help with all this and more. When it comes to trucks, we do great work. If you’re interested in additional details about what we can do for you, please take a moment to stop by our contact page. At Carey Truck Equipment Road Service, we’re proud to be able to say that our team members have years of training and experience with trucks. This means that when we work on your vehicle, we harness in-depth knowledge and skills to deliver superior assistance. 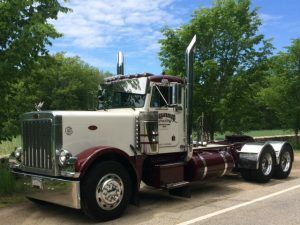 For example, our expertise allows us to quickly pinpoint the source of any engine troubles your truck may be experiencing — and once we’ve diagnosed a problem, we know the steps needed to correct it.